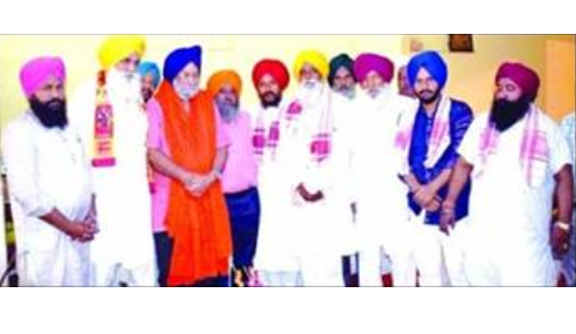 Capt PP Singh, a senior journalist and social worker, was felicitated with traditional Siropas by the Sikh Sangat of Guwahati after being elected unanimously as the Chairman of Greater Guwahati Gurduwara Committee at a meeting held in the city recently. According to information, the felicitation programme was organised at Gurduwara Sri Gum Singh Sabha, Dispur. Amongst those who were present at the programme were Dispur Sardar Swaran Singh, former president of Rangreta Dal, Sardar Dalbir Singh, president, Dispur Gurduwara Committee, Babu Singh, president, Fatasil Gurduwara Committee, Ram Singh, vice president, Morakhali Gurduwara Committee, Nachattar Singh, general secretary, Morakhali Gurduwara Committee, Tarsem Singh, cashier, Fatasil Gurduwara Committee Gyani Ranjit Singh, Jathedar Dilbagh Singh Naddha Raja Singh, joint secretary and Raju Singh, joint cashier. The other members who were also present at the programme included Amritpal Singh, Vishal Singh, Lal Singh, Saabi Singh, Ratan Singh from Beltola, Maaja Singh and Manjit Singh Totti from Narangi in Guwahati.